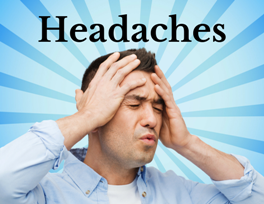 Migraines and headaches of any type can be very debilitating for people who get them. In Canada, 59% of adults report suffering of some type of headache. 30% experience tension-type headaches and 17% suffer of migraine headaches. Whatever the headache type, people who get them tell me it can destroy their whole day. In some cases, the headache may even last for two or three days. Tension type headaches can stem from postural problems, stress, and muscle tension in the neck and upper back. Migraine headaches have been attributed to blood vessels that have become over dilated. These blood vessels are in the scalp and within the protective linings of the brain (called dura mater). This brain lining is very pain sensitive and any added pressure from the blood vessel dilation can trigger an intense migraine episode. Many people will tend to treat headaches and migraines with pain killers and migraine medication. While, in some cases, prescription and/or over the counter medications may help to temporarily relieve the headache or the migraine, they certainly are not a long-term solution for eliminating the headaches once and for all. And, as you probably already suspect, medications come with serious side effects. Finding the cause is an essential step in the successful care for people who suffer with migraines and tension headaches. The central aim of chiropractic care is to find the cause of the headaches and to correct the underlying problem that is causing the headache. In many cases, the cause is a misalignment of the spine, especially in the neck and at the base of skull. This misalignment is called subluxation. As a chiropractor, I always check two primary areas of the upper neck for subluxations which can be the main problem area causing the headache, the atlas and the occiput. The atlas is also called the C1 vertebra and it is the first vertebra (spinal bone) at the top of the neck. The occiput is the base of skull. The occiput sits on the atlas. The atlas essentially is the first bone that holds up the head. What’s interesting about the atlas is that it has muscular attachments to the skull. The muscles that attach the atlas to the skull are also connected to the dura mater, the brain’s protective lining. So, when the atlas and/or the occiput is out of alignment, it will cause the muscles in the upper neck to tighten. This muscle tension is enough to cause pain or lead to a headache. However, these tight muscles also pull on the dura which is extremely pain sensitive. This is one of the theories of how migraines and headaches develop. Another interesting fact about the atlas is that it is in close proximity to the brain stem. The brain stem has cranial nerves that branch off to the face and the head region. When the atlas is misaligned, it can add pressure to the brain stem and cranial nerves which can also cause headaches and migraines. Reviewing this simple anatomy of the upper neck, it makes perfect sense that chiropractic is essential for the treatment of headaches. The purpose of chiropractic is to detect and correct the subluxations. When chiropractors correct subluxations in the upper neck (atlas) and the base of the skull (occiput), people get tremendous relief of pressure and tension and their headaches begin to dissipate. Misalignments (subluxations) in the upper neck or at the occiput are caused by traumas. Traumas can be minor, like things that occur repetitively over time─bad posture, slouching, sleeping on big fluffy pillows, using the computer/laptop, texting, using handheld devices like smart phones and tablets, just to name a few. And traumas can be major, like something that happens hard and fast─car accident, whiplash, sports injury, slip and fall, head injury/concussion, just to name a few. 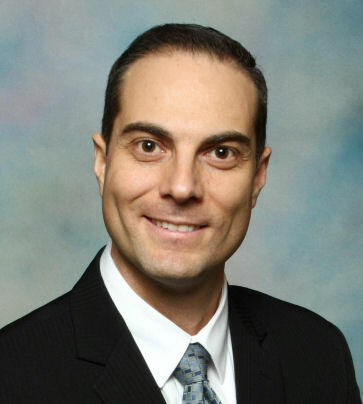 Over the past 16 years, our office has successful helped many people who suffered with headaches. Since June is Migraine and Headache Awareness Month, we are focusing on helping people with headaches this month. Who do you know that suffers with migraines or headaches of any type? Tell them about chiropractic care. For anyone with migraines and headaches, chiropractic may be the missing piece to their health care solution. More than this, chiropractic can help their body return to a normal state of strength and function. The result can be an improved quality of life, better ability to handle stress, more energy, less fatigue, and an overall better mood. 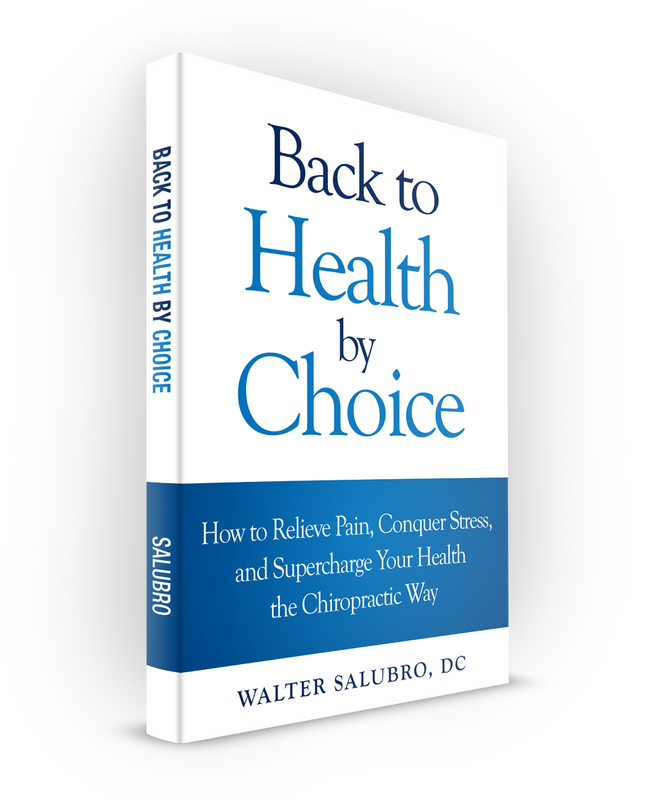 This entry was posted on Sunday, June 5th, 2016 at 8:50 pm	and is filed under Dr. Walter Salubro, How Does Chiropractic Help with Migraines and Headaches.